Hybrid vehicles are popular, especially when gas prices are high. Using a combination of an electric motor (one or more) and an internal combustion engine is what makes a vehicle a Hybrid. Do not confuse hybrid from electric vehicles. Electric cars are run 100% by an electricity power source. Those who purchase a hybrid may be eligible for tax credits which help bring the price down. We rank the cars base on MPG, price, and reliability. 1. Toyota Prius c: 53 City/46 Hwy (50 Avg. ), Base Price: $18,950. 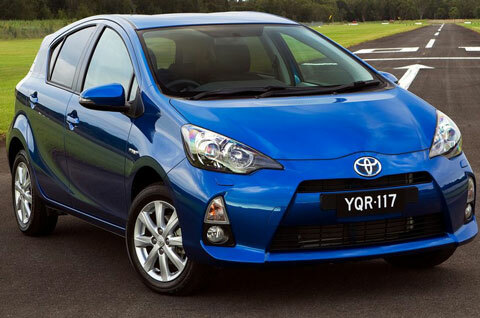 The Prius c has a 9.5 gallon fuel tank and a 1.5L 4-cylinder hybrid engine with a price tag below most competitions. Available in four trims, not only does the Prius provide exceptional technology, it also gives you confidence and comfort when driving. 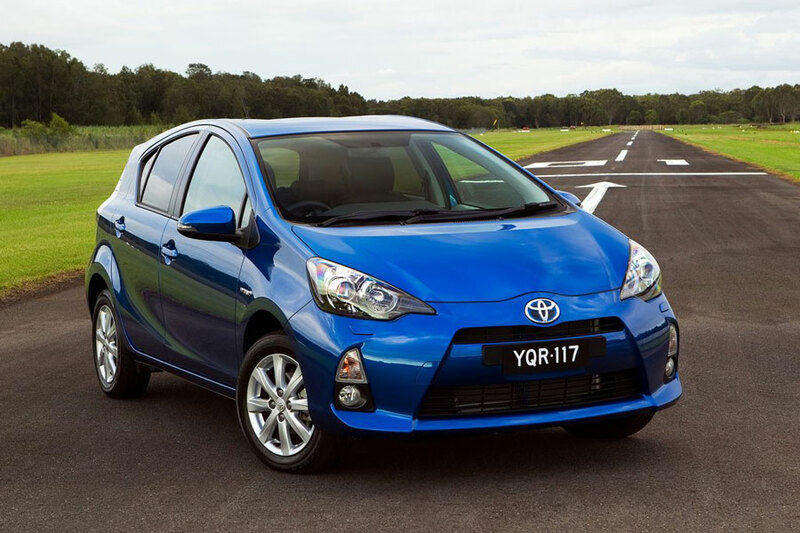 The hybrid engine of the Prius c is able to seamlessly transition from the electric motor to the engine. This allows for maximized used of your fuel. At a higher price, you can also get the best selling Prius or the Prius V.
2. Honda Civic Hybrid: 44 City/44 Hwy (44 Avg. ), Base Price: $24,050. 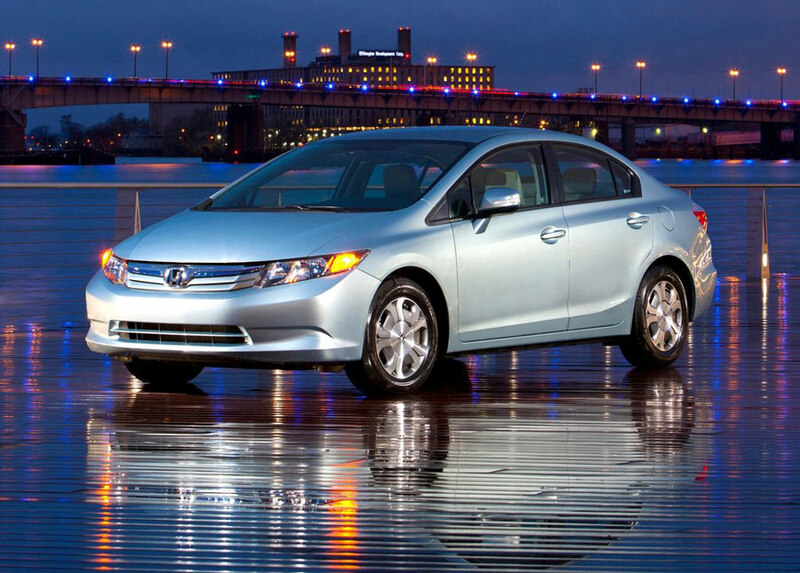 The Civic Hybrid has a 13.2 gallon fuel tank and a 1.5L 4-cylinder hybrid engine that produces 110 HP. The Civic Hybrid continues to be competitive in the compact category. Not only does this Honda Civic give you good fuel economy, it gives you a comfortable ride as well. The 4-door has been given a coupe body style in addition to the spacious interior. 3. 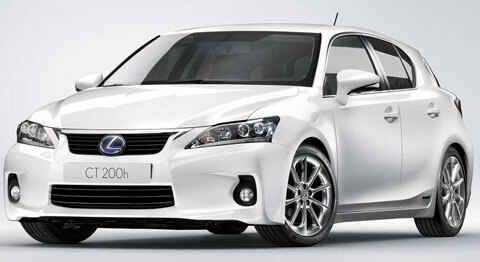 Lexus CT 200h: 43 City/40 Hwy (40 Avg. ), Base Price: $29,120. 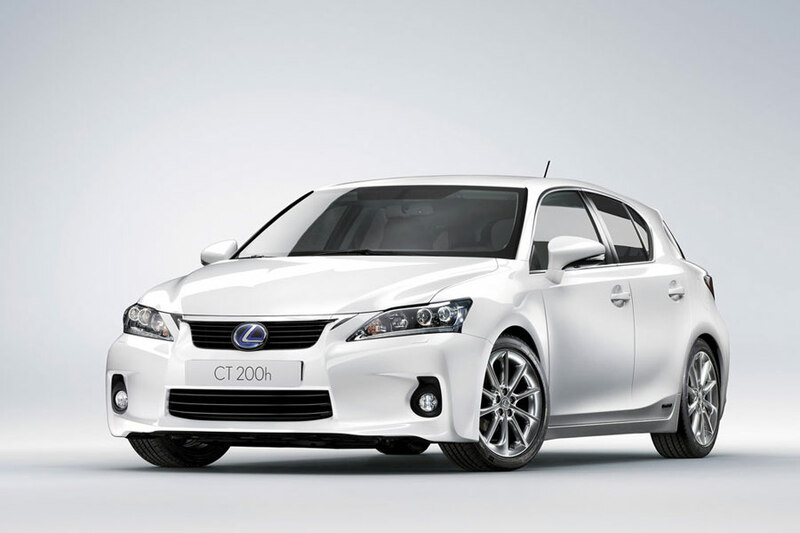 The CT 200h has a 11.9 gallon fuel tank and a 1.8L 4-cylinder hybrid engine that produces 134 HP. This offering from Lexus for the hybrid market is a 4-door luxury hatchback that comes at an attractive price. It has sporty handling and a very impressive fuel economy. The cabin is driver friendly and comes with excellent ergonomic styling. 4. 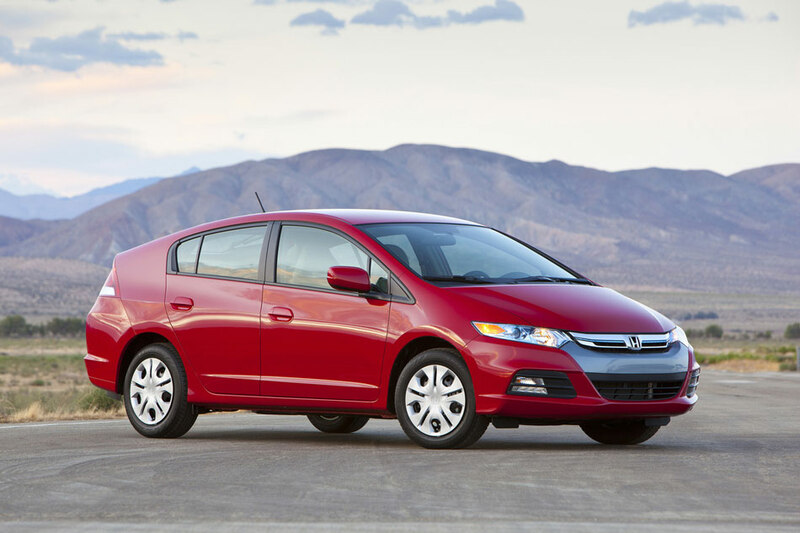 Honda Insight: 41 City/44 Hwy (42 Avg. ), Base Price: $18,500. The Insight has a 10.6 gallon fuel tank and a 1.3L 4-cylinder hybrid engine produces 98 HP. The Insight is available in 4 trims that include the base model, the LX, EX, and the EX w/ navigation. This 4-door hatchback is low-priced for a hybrid. Some have complained about certain features on the Insight. 5. Toyota Camry Hybrid: 43 City/39 Hwy (41 Avg. ), Base Price: $25,900. 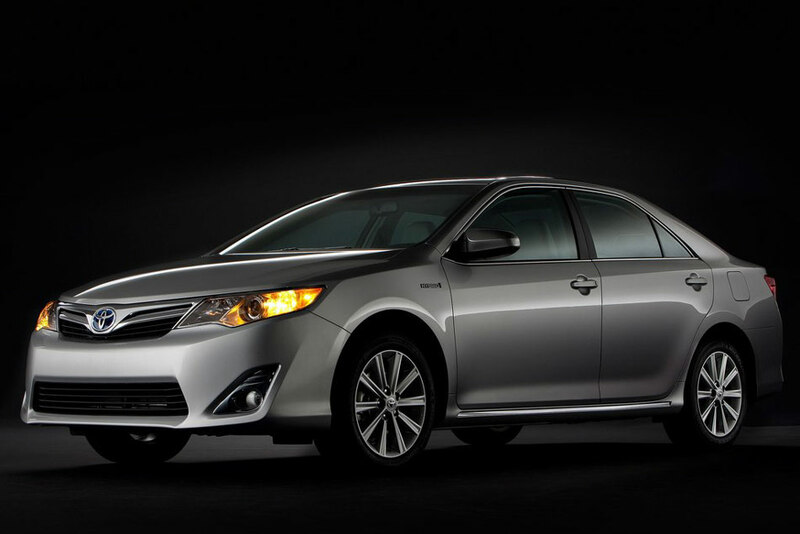 The Camry Hybrid has a 17.0 gallon fuel tank and a 2.5L 4-cylinder hybrid engine produces 200 HP. This family sedan is now available with a hybrid engine. It not only gives you great fuel economy, but add to that quick acceleration, attractive easy to use high tech features, and great safety scores. The XLE trim comes with backup a camera and HomeLink universal transceiver; the acceleration moves this hybrid from 0 to 60 mph in 7.4 seconds, which isnâ€™t bad for a hybrid. 6. Ford Fusion Hybrid: 41 City/36 Hwy (39 Avg. ), Base Price: $28,775. 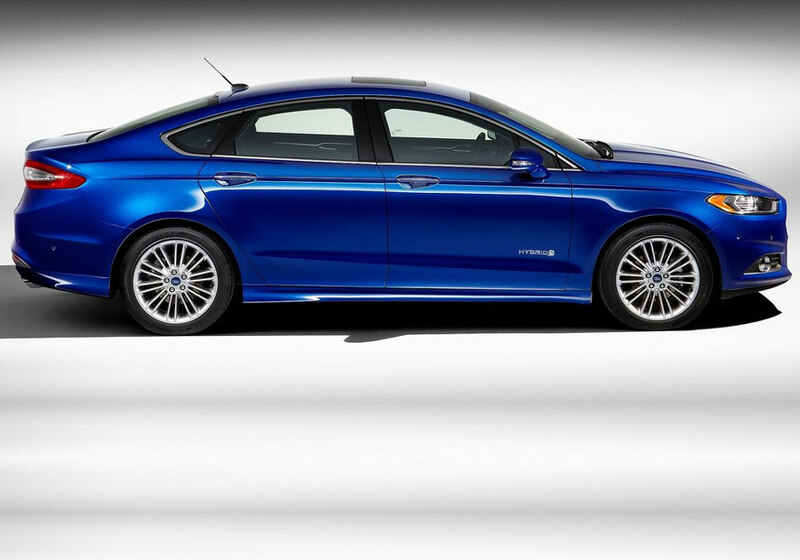 The Fusion Hybrid has a 17.5 gallon fuel tank with a range of 717 mpg city/ 630 hwy; it comes with a 2.5L Atkinson 4-cylinder hybrid engine. Labeled as mid-sized family sedan, the Fusion Hybrid gives you a comfortable ride and spacious interior. This hybrid from Ford gives you good fuel economy and a gauge cluster specific to this model. An E-CVT transmission works together with the hybrid Atkinson engine. 7. Lincoln MKZ Hybrid: 41 City/36 Hwy (39 Avg. ), Base Price: $34,755. The MKZ Hybrid has a 17.5 gallon fuel tank and a 2.5L 4-cylinder hybrid DOHC engine that produces 156 HP. The starting price of the MKZ Hybrid is the same as the MKZâ€™s gas model. The difference begins there. Standard features on the hybrid edition of the MKZ comes Bridge of Weir TM leather trimmed seating to go with the wood trim. The instrument panel comes with the SmartGauge TM that helps you drive the vehicle with greater efficiency. 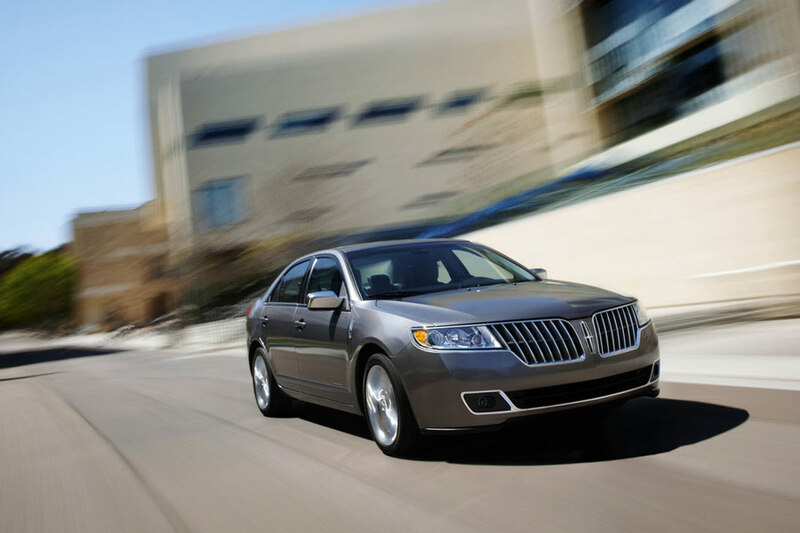 You get all that along with the interior luxury that Lincolns have been known for. Electric motor: 95 City/93 Hwy (94 Avg. ), Base Price: $39,145. The Volt is a electric/hybrid car with a 9.3 gallon fuel tank and a 1.4L 4-cylinder hybrid engine that produces 83 HP; and an electric motor that creates 149 HP and 273 lb-ft of torque. The EPA range on the Volt electric motor is 35 miles. 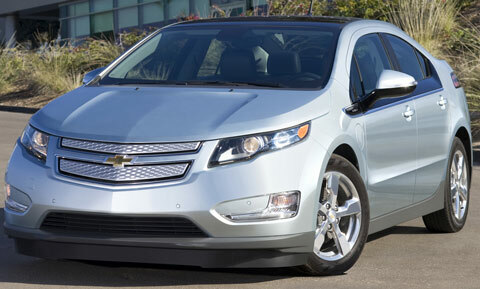 Seen as the most fuel efficient hybrid in the market these days, the Chevy Volt is the most expensive car in its class. Your monthly fuel expenses will definitely go down. 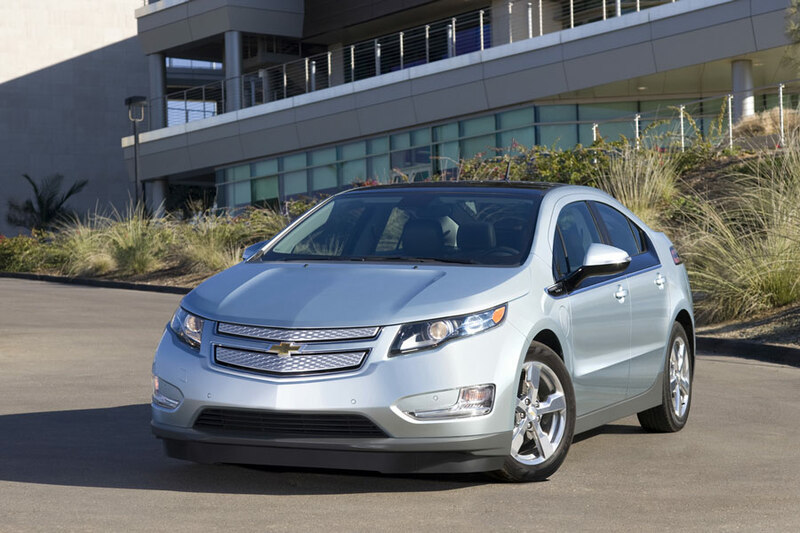 You can avail of tax credits which you may be eligible for, doing so will bring your cost on the Volt down. 9. 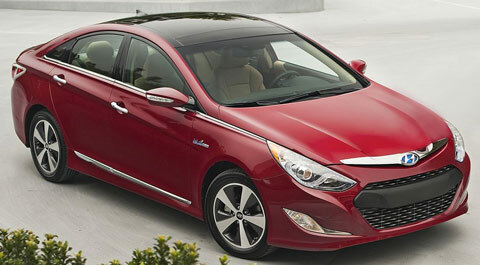 Hyundai Sonata Hybrid: 35 City/40 Hwy (37 Avg. ), Price: $25,850. 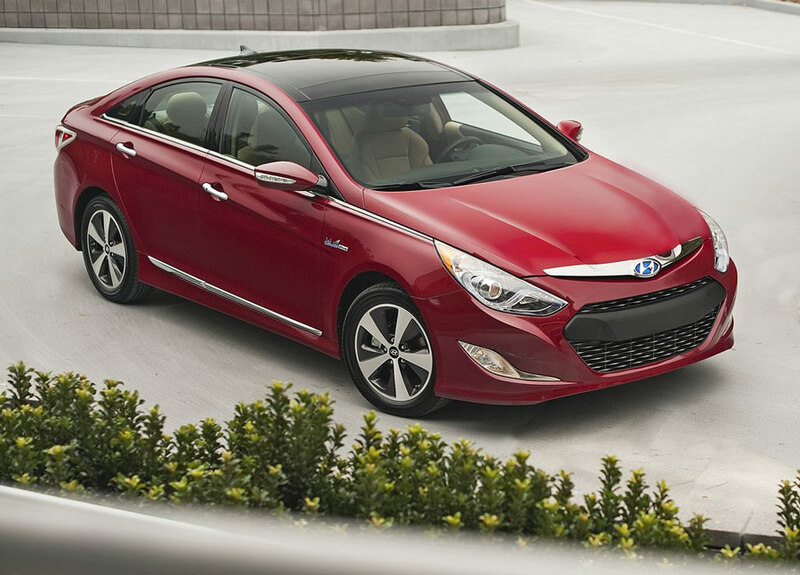 The Sonata Hybrid has a 17.2 gallon fuel tank and a 2.4L 4-cylinder hybrid engine that produces a combined 206 HP. The cabin provides a comfortable ride to go with its good looking features. Hyundai provides you with a safe ride to go with a lengthy warranty. Improvements are on the way to help enhance the powertrain. 10. Kia Optima Hybrid: 35 City/40 Hwy (36 Avg. ), Base Price: $25,700. 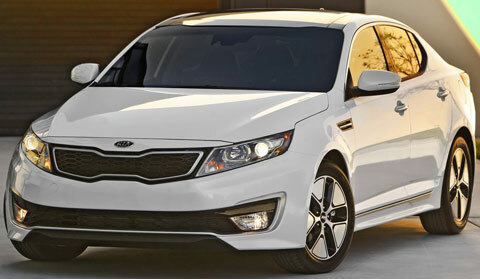 The Optima Hybrid has a 17.2 gallon fuel tank and a 2.4L 4-cylinder full parallel hybrid engine that produces 206 HP. 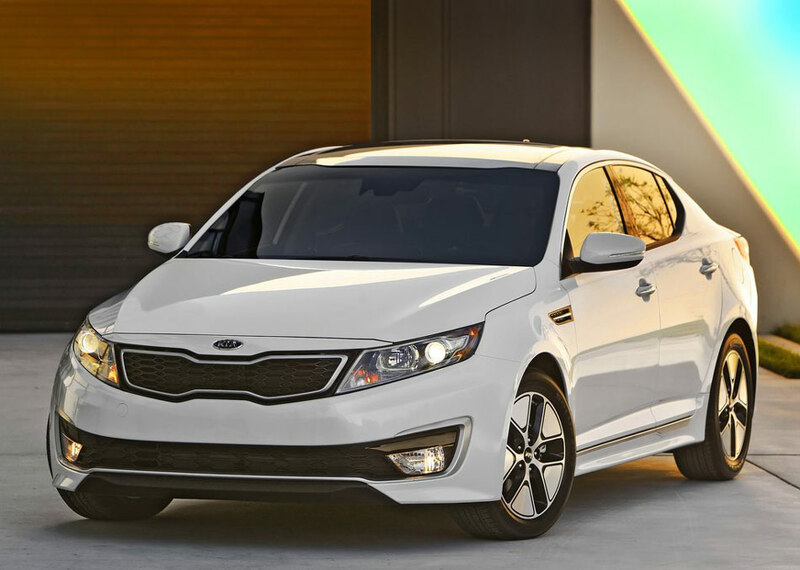 This hybrid from Kia can go from 0 to 60 in 8.4 seconds which is fairly quick for a hybrid. The Optima Hybrid comes standard with a SiriusXM audio system to go with BlueTooth wireless technology and USB input jacks. Other options include a Microsoft powered Infotainment System, Infinity/Sirius XM audio system, and a rear camera display to name a few.